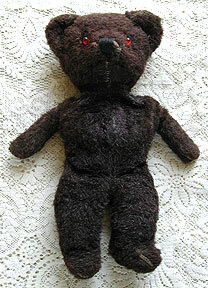 Good Condition: We are offering this Dark Brown Mohair Teddy Bear. 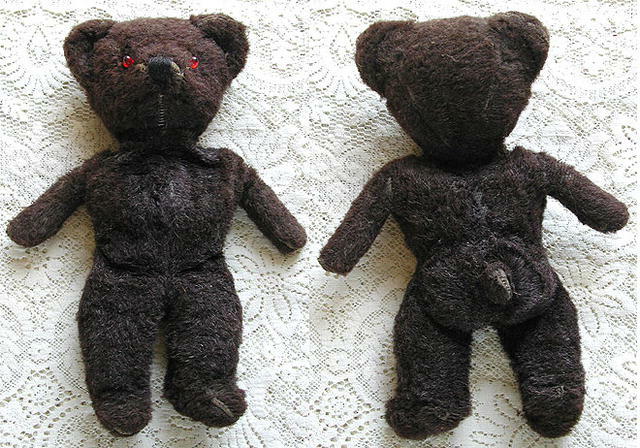 He has red glass eyes and is not jointed. The Mohair is worn a little. The Bear stands approx. 11 1/2. His cloths are held together with Old safety pins. The cloths are very dirty. He has no markings. 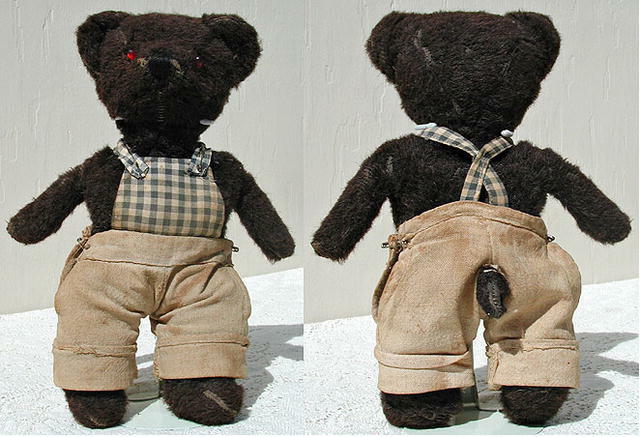 Items Similar To "Vintage Mohair Teddy Bear"
Vintage Gnome -Elf Doll by Eugene Doll company PRICE REDUCTION!